Learn to write your research paper using the Chicago format. The Chicago format is often used for the preparation and editing of papers and books for publications. The Chicago Manual of Style (CMS) details how to prepare and publish manuscripts with the proper usage of grammar and documentation. There are two CMS documentation styles: the Notes-Bibliography System (NB) and the Author-Date System. When developing a work for publication, most writers use the Chicago Format as a means to ensure proper preparation. The Notes Bibliography System and the Author-Date System are the two basic documentation systems within the Chicago Manual. The Notes Bibliography System is used in literature, history, and the arts. The Author-Date System is used in the physical, natural, and social sciences. Whether a writer will adopt the Notes Bibliography System or the Author Date System, the type of Chicago format used will determine how sources are referenced throughout a work. Learn how MindView makes Chicago formatting easier. Click here. Writers that use the Notes-Bibliography System must include a note, endnote, or footnote each time they use a source. This format requires footnotes at the end of the page. The end of the document has the collected endnotes. Writers must also provide an alphabetical list of all sources used in a work. This list is often titled “Bibliography” and is located at the end of the work. The bibliography potentially contains relevant sources that aren’t cited within the text. By including relevant sources, the author is providing additional reading for the topic at hand. Each entry within the bibliography must include the author, title, and date of publication. The Author-Date System a type of format used for Social Sciences and Science publications. Under this system, cite sources within the text and include the author’s last name and date of publication. The reference list at the end of the document includes further detail of the in-text citations. 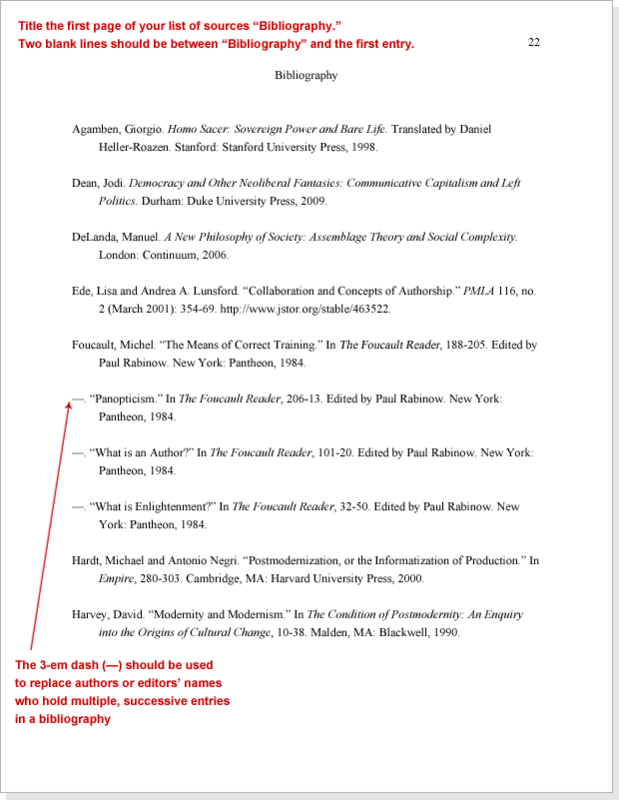 Full bibliographic information is provided in the reference list along with an example of a corresponding parenthetical citation. The Chicago Format requires a reference list that contains all of the sources used to create a work. The formatting of each reference entry determines the type of source. For instance, the reference entry for a book source is formatted differently than the reference entry for a video source. In order to ensure the proper formatting of each source, refer to the 16th edition of the Chicago Manual of Style. The reference list must be in alphabetical order by the author’s last name, and each reference must follow proper indentation. 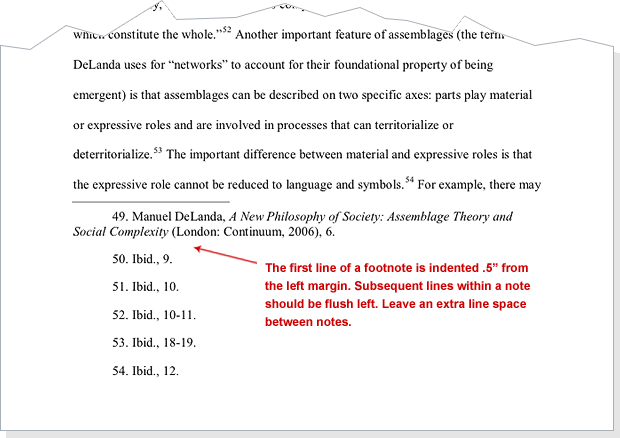 Furthermore, indent the second and subsequent lines of each reference by half an inch.